The Ceriatone Custom, hand-built Signature Series British Style JTM 50 is a tribute to that great Marshall boutique guitar amplifier. 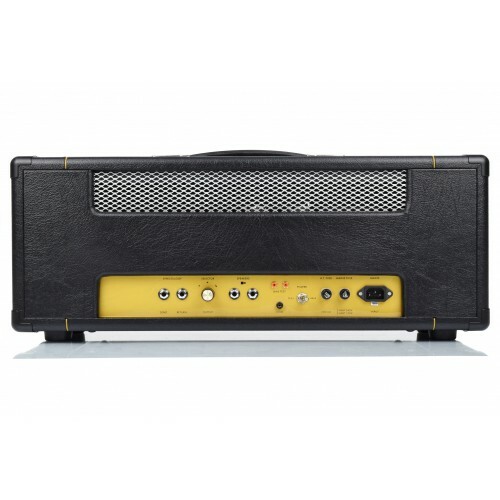 If you desire an amp with great touch sensitivity, sweet even-order harmonics and outstanding dynamic range in a combo or head this amp is for you. True to the original JTM 50. Note: PPIMV mounted on Front Panel will be either mounted in place of pilot lamp (Marshall styles) or a hole will be drilled (OTS styles). PPIMV mounted on Rear Panel will always be in place of a Speaker Output Jack. 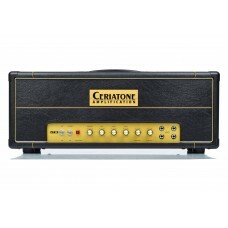 Ceriatone amps are Custom-built, hand made, hand wired amps, built to order. There is meticulous attention to detail that is second to none, and no shortcuts are taken. 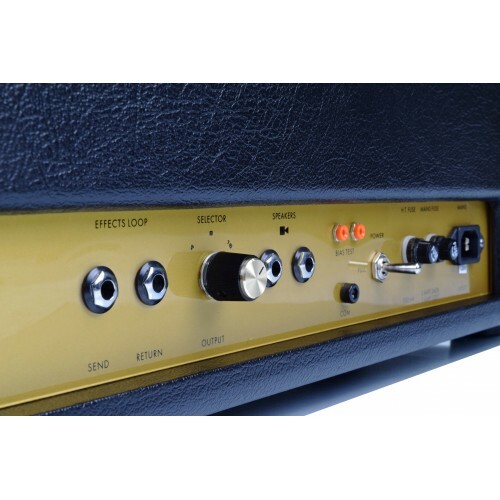 Each amp is 100% hand built, hand wired point to point, and then is thoroughly tested and burned in before it is shipped to you. For this reason it takes approx. 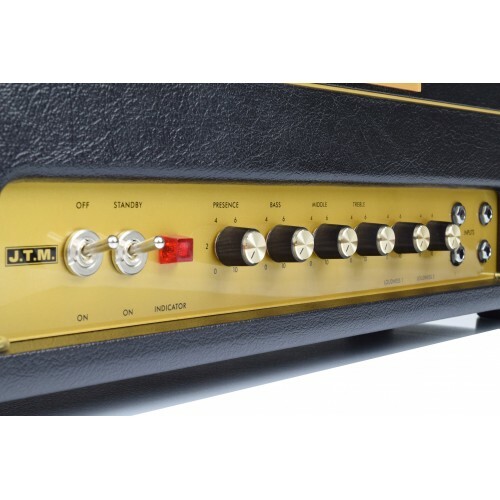 6-8 weeks for your amp to be built and shipped. Options can add 1-2 weeks to the "standard" build time. Prices shown on www.guitarampsusa.com includes the shipping cost to the USA only. We only ship to the USA, Canada and Mexico. Shipping to Canada, Mexico, Puerto Rico and the US Virgin Islands will have additional shipping. We'll invoice the difference in shipping and it is due at time the order is placed.